Drunken Mermaid caught up with Sydney’s finest, Elstow, immediately out front of their November 7 Oxford Art Factory gig. Elstow is Jared Shaw, Chel Browne, Toby Shaw, Brian Page and Rebecca Chandler. drunkenmermaid.com: How did Elstow come about? JARED: Chel and I started playing old folk songs together as a duo in 2012, like Judy Collins covers and Peter, Paul and Mary stuff. We were also writing songs at that point and were lucky enough to play a couple of sets at Peats Ridge Music Festival just outside of Sydney, which was a huge deal for us. We asked my brother Toby and friend Brian to join us for that, and then in the following year asked another friend Bec to play with us as well. That expanding was a pretty natural process – what happened when we all started playing together just felt bigger and better than what we’d been doing on our own. drunkenmermaid.com: How did you come up with the name Elstow? JARED: Elstow is actually the name of the building Chel and I live in. It’s a big old beautiful Victorian-era home that’s been sliced up into apartments. We just liked the sound of it I guess, and it’s where it all started so it seemed appropriate. drunkenmermaid.com: You’ve recently released your debut EP As the Sun Falls, how did you go about recording it? Who produced it? JARED: We were recorded by our good friend Benjamin Wickstein, who Toby and Bec play with in the band Aether Beach. We co-produced it with him and recorded different parts in different places. Most of it, though, was recorded in his dungeon… a dark and dingy little basement in Enmore [Sydney]. drunkenmermaid.com: How do you and Chel go about writing songs together? Is there a process? JARED: I’m not sure we really have a definite process at this point. Our EP is made up of a few songs we wrote together as a duo, and then a couple that were written independent of each other. And then when we jammed on them as a band they started to evolve again. This is my favourite part of the progression. Its always exciting to see how it will end up when we come together and put our minds to it. JARED: Well I think Elderflower Bloom is definitely my favourite. Chel wrote it a long time ago – it was one of the earliest songs we used to play as a duet. It evolved when we started playing as a band and recorded it for the EP. The day we got together and played it like that for the first time was pretty special. I think that was the moment I realized we had something good going on. drunkenmermaid.com: Who are your main influences? JARED: Our song-writing influences range from the sixties folk of Jimmy Spheeris and Simon & Garfunkel to the West Coast psychedelic sounds of Jefferson Airplane and the Peanunt Butter Conspiracy. There’s also a definite 90s neo-psychedelic flavour as well. Bands like Brian Jonestown Massacre and Mazzy Star definitely had a huge effect on our sound around the time we recorded the EP. And there’s no doubt Radiohead have had a huge affect on all of us as well. I know I’ve recently fallen in love with their earlier albums all over again. drunkenmermaid.com: What do you think Elstow is doing that sets you apart? JARED: I think if Elstow has anything unique to offer it might be an accessibility. I’d like to think that we’ve got a little something for everyone, be it the softer acoustic sounds or the more driven and dynamic stuff. We have a good blend I think. Not that we’re the only ones blending those styles, of course, but I think we’re starting to feel our own sound is coming about. drunkenmermaid.com: What’s one of your favourite songs or albums and why? JARED: One of our favourite songs, which we’ve been covering live for a while now, is Jefferson Airplane’s White Rabbit. It’s got such a great groove to it and amazing lyrical content, not to mention an interesting chord progression. That’s probably one of my favourite aspects of psychedelic music, how the use of unusual chord progressions can create such an eerie or strange mood, like Syd Barrett’s songs. drunkenmermaid.com: Where to next? What does the future have in store for Elstow? JARED: We have quite a few new songs written and we’re really keen to start recording our next single in the coming weeks. If all goes well we want to have it out by the end of the year. And with a video! drunkenmermaid.com: Where can we see you play live in the near future? JARED: We’re playing the A&R Department’s 50th Music Makers Club on the 7th November at Oxford Art Factory. The line up includes some great acts like Harts, King Colour and Battleships. Will be huge! No doubt – you can follow (and like) Elstow on facebook. drunkenmermaid.com: How did MUSEFest come to be? Hannah: MUSEfest came out of a conversation with Zeb Achonu, about women who become mothers while continuing to produce and perform. Zeb had created a Facebook group for mothers in bands, and we decided we should make a music festival for the group. We began thinking about artists who have inspired us personally to create and continue doing our thing, throughout the arch of our lives, not just right now. We realized that the festival mission needed to expand to women who inspire other women, including but not limited to mothers. We both have varied taste in music, and the festival is not focused on a particular style, but more on intensity, polish, and strength of message and performance. Zeb: The Mothers Make Music Facebook group had come about from me finding a statistic saying that “The PRS for Music membership (writers and music creators) is currently only 14% women” (statistic from PRS for Music). That’s a shocking statistic, really. Why are there so few women writing and creating? And of that how many of them are mothers, which is just one of many varied reasons that women become less available to create music. Along with the usual conversations about a male dominated music business, it became even more important to celebrate and encourage women who do create music and are working in the music industry. drunkenmermaid.com: Who are the performers? What can you tell us about them? Hannah: The headlining performer is Miss Baby Sol, from London. She is a powerhouse, smart and beautiful, taps into historical music moments, and reworks it to make it completely her own. She also has a message to listen to. She is known for her past work with J’nay, Paloma Faith, and Amy Winehouse, but it’s her present work that we should be talking about. Her work is tinged with soul, jazz and reggae, and is completely, currently, her own. 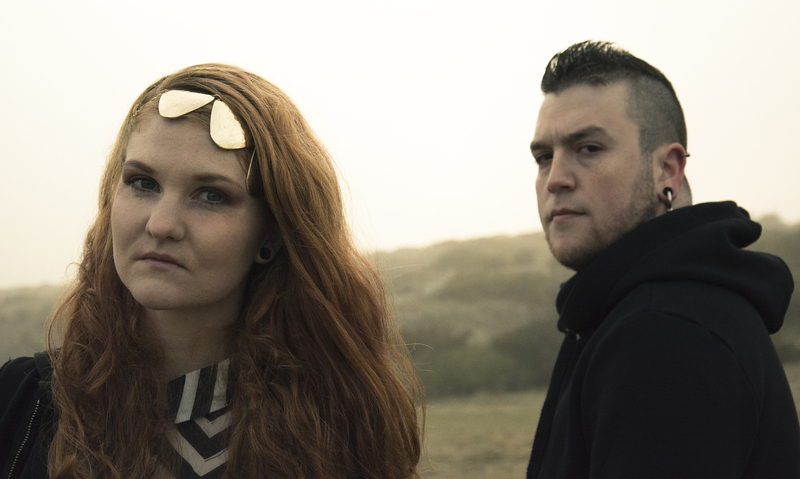 Hannah: Also performing is Ösp Eldjárn, and Icelandic singer/songwriter. She is great! She grew up performing with her family in a traditional folk musical act, and then with brothers and friends in folk/Americana/blue grass lineup before moving to London. Her work is inspired by the vocals of Ella Fitzgerald, the stories of Joni Mitchell. Now she is writing and performing her own etherial and atmospheric folk. A few others will be performing that night, including me. My work is alternative folk, with sometimes sultry and very original lyrics. The texts are subtle, evocative and tell stories influenced from both sides of the Atlantic. I work with one foot rooted in folk storytelling tradition like Leonard Cohen or Bob Dylan. My vocals have been compared with Suzanne Vega, Elliott Smith, and Cat Power. Hannah: There will also be an art exhibition before the show, a speaker, various exhibitors and the evening concludes with a DJ. It will be a full, fun evening. drunkenmermaid.com: What have been your biggest obstacles to making MUSEFest happen? Hannah: Getting started has not being easy, as we are building this on an extremely limited budget, across time zones, with no history to show as we are speaking with potential partners and performers. The thing that has kept us going is how much enthusiasm we have received from artists and supporters a like, for this festival. The theme really strikes a chord, is positive and is all about moving forward, remaining in dialogue and of course entertaining those who like the music! drunkenmermaid.com: What do you see it becoming in the future? Where would you like to take it? Hannah: We will be producing the next MUSEfest in Paris in the spring of 2015. The second edition is beginning to take form already and looks like it will be a bit larger in scope. After that, New York or Chicago are the next logical steps, but we will always loop back around to London. Zeb: I’d like to see MUSEfest become a major contributor to increasing the visibility of women making music, something that sparks conversation and encourages women working in and around music to continue doing so, and others to restart, or begin. drunkenmermaid.com: Tell us about yourself – what got you into music? When did you begin to perform? Hannah: I lived in Spain for a few years after university, studied classical guitar, and began writing songs then. When I moved to Chicago, I immediately got an electric guitar, amp and pulled a band together. I have had bands or musical projects ever since. My creative influences are varied, and my work has been deeply influenced by Lou Reed, Joan Baez, Leonard Cohen, Laurie Anderson, Liz Phair to name a few, but also artists, writers and designers too… Frida Kahlo, Louise Bourgeois, Douglas Kennedy, Frank Gehry. When something shakes you from the feet up, there’s something there, its part of the conversation. It doesn’t matter the medium. Zeb: I grew up knowing I wanted to sing and make music. There was always a wide variety of music playing in my home as a child; reggae, folk, rhythm & blues, hi-life, soul divas, classical… and when I could choose, I got into indie and rock, before finding hip hop and trip hop. I joined a few bands, specifically the live set up of Euphonic, who I toured Europe with in my early 20s, then when that ended I started working on a solo project with Euphonic producer Rob Henry, put together my own band and started playing gigs in and around London. When I moved to Paris in 2009, I started the Paris branch of internet music show, Balcony TV, and spent all my time promoting other artists. I really missed making my own music and working with my guitarist Oli Thompson. I moved back to London and started doing a few acoustic shows, joined a choir, just found pleasure in singing again. Having my son forced me to take some time out and consider what I wanted to do next. So, happily, I’m now back making music, actually working mostly with a producer I know in Paris, but really enjoying being both a mother and a musician and finding the balance and synergy in those two things. I’m not saying it isn’t exhausting though! drunkenmermaid.com: Tell us about the charity White Ribbon Alliance. Hannah: A percentage of proceeds of the event will go to the White Ribbon Alliance. They are an amazingly effective organization with the basic goal of healthy birth for all women and children, everywhere. Much of their work is focused in Africa and Asia, but the overarching goal is to bring education, resources, systems and care to people who need it most. This charity is so well run, with a profoundly low overhead. We are going to show some videos from their work at the event as well. Childbirth is such a fundamental topic. Everybody either is a mother, or has one. We should take care of mothers! Zeb: The obvious, corniest, but truest answer is my Mum. She is always on the go, starting new exciting projects, encouraging others to do the same and finding herself frustrated at her own or others’ missed opportunities. I remember doing gigs with very few people in the audience and really not feeling like dressing up and giving it my all, and she would remind me that those people came, they deserve the best you can give. And she is right. So on goes the face, and the sparkle, because you just never know who or what may come of it. Musically, there are many influences; Ella Fitzgerald for her voice, Madonna for her business savvy and performance, PJ Harvey for her incredible music and ability to reinvent but stay true to her own sound, Jill Scott, for her consistently incredible vocals and songs, and for me, Martina Topley-Bird. When I first heard her voice on a Tricky track I was mesmerised. Here was a young, mixed race woman, singing in a somewhat bluesy manner, but with a very modern edge, over electronic, sample based beats… it was combining everything I was into at the time, still am, and it was like I was being told “yes it’s true, you can make the music you feel”. That was huge for me. Zeb: I have been lucky enough to play in some amazing places, but it was Malawi, at the Lake of Stars festival that I have my fondest memories. I travelled through parts of Africa with a bunch of musicians and DJs I hadn’t known before and loved every minute, partying wherever we stopped. All the way to the festival. Which was great because everyone was so supportive and made sure that we all caught each other’s sets and there was a genuine good music good people vibe about the whole thing. Worst experiences…? Oh gosh, I’m sure there are many but I try to blank them out! drunkenmermaid.com: How can we get more information about the festival? EOTO is kicking off the second leg of their Outer Orbit Tour on Nov 21st. With over 600 live shows under their belt, EOTO’s unique live approach to EDM has allowed them the freedom to perform with drummers of Stomp, members of String Cheese Incident, members of Umphrey’s McGee, Stanley Jordan, Dominic Lali (Big Gigantic), David Satori & Sidecar Tommy (Beats Antique), Billy Kreutzman, Vinx, Toni Childs, Karsh Kale, Jamie Janover, Steve Kimock, Jamie Shields (New Deal), and Adam Deitch (Lettuce) just to name a few. EOTO has recieved dozens of awards and accolades for their live production including “Best Live Dubstep” at the Dubstep Awards in 2012, “Top 50 bands to see live” and most recently voted “Best Late Night Show” at III Point Festival in New York City, by Societe Perrier. EOTO is the rhythm section for the underground sensation, String Cheese Incident. While they don’t like to talk about SCI in this configuration, this is a band who has performed with such legendary talent as James Brown and have performed in front of hundreds of stadium sized audiences and sold out crowds. Their talent is undeniable. Not just a haphazard foray into experimental EDM music, the duo starts their musical adventure from scratch (there are no pre-recorded loops, no backing tracks, and no pre-constructed songs in their live production) building each set, note-by-note, beat by beat, live before the audience as each show explodes into a full-scale dance party. EOTO just announced new additions to their award winning light show and visuals as part of the fall tour. drunkenmermaid.com: Tell us about yourselves – how did We Are The Catalyst form? How did you choose your name? The meaning of the band name is simply that if you want something to change, you have to start that change yourself, being the catalyst. When we started to write songs for WATC we quickly realized how easy it was for us to work together only the two of us in the studio, me making the foundation of the songs with the music, and then having Cat bringing in the vocals, then working together to polish the songs as much as possible, and not being satisfied until they felt really special and worked through. We had not worked this much in detail before in any other band we were in, and looking back I feel that we maybe hurried the songwriting to much in our old bands, and had to many people involved in the writing. Working just the two of us has been so much easier in the end, and I already look forward to writing our next album. When we write songs we mainly just work directly in the studio and try out tons of ideas on the songs before making the final cut, and it has been a great start for us, as is evident in “Monuments”. drunkenmermaid.com: What is your favorite album? Kenny: Bring Me The Horizon’s “Sempiternal” – because it has such a raw energy as well as having a very produced sound. It doesn´t hurt that there´s an ominous sound to the songs as well as an epic atmosphere, and a “Pop meets Metal”-vibe to it . I often get tired of albums pretty quickly, but this album I have been listening to almost constantly since it was released. I just can´t go many days without hearing “Can You Feel My Heart” or “Shadow Moses”. They really deserve all the success they get! Kenny: Tons of influences! Many of them subtle in our sound, some of them you might hear more, not going to say which is which because I honestly don´t know! But some of the big ones are bands that I grew up listening to, like Linkin Park, 30 Seconds To Mars, In Flames, Katatonia, Killswitch Engage, Soilwork and Kent. Others are more recent additions, like Bring Me The Horizon, Paramore, Skrillex, Ellie Goulding and many more. I learn something from all of them and conciously or unconciously add that influence to our songs. I also get very inspired and influenced by movie scores, as I feel that there are so much potential and story telling in that kind of “background music”. Kenny: “Can You Feel My Heart” by Bring Me The Horizon, It would probably sound the same as I wouldn´t want to change a thing! Seriously one of the best songs ever written. Kenny: We have started writing a few new songs the last couple of weeks (as we are always writing songs, not just when working on an album) and currently I have been in a kind of dark mood, making the songs more ominous than the ones on “Monuments”. Some of them have also become more heavy, more “Metal” in a way, and more serious in the feel, so will be interesting to see how they turn out in the end and if they make the next album or not. I don´t think we want to be too dark in the end, but there certainly is a lot of those songs being written by us at the moment. drunkenmermaid.com: Are you signed to a label? Are you looking for a label or artist’s representation? Kenny: We are currently talking to several labels, as we have been getting quite a lot of bigger label interest with “Monuments”, but I really can´t say any more at the moment. As for representation we are working with One Night Stand Management in the UK and Chris Bianchi (Mercenary Management/CB Entertainment) in the US. Kenny: Aside from the music, my biggest interest is playing video games. Also, me and Cat are married and have a daughter. 🙂 Could be that´s why we work so well together! Kenny: We are currently booking tour dates for early 2015, but no dates are official yet! Keep your eyes out and your ears open! We will, no doubt. In the meantime, check out more of We Are The Catalyst on their official website, facebook, and Twitter. You can see their video for “Tomorrow” on Drunken Mermaid’s facebook page. Coming next: Basheba, Absynth Quintet, Gordon Duthie, Alec Morrison, and news from Brother Octopus! First, a quick update – we’ve had some MAJOR delays getting the contest entries up and we still have more to run. Drunken Mermaid is grateful for everyone’s patience. We are also invoking the contest rules and revising the timeline as follows – all entries will run by October 25, 2013. Winner to be announced Monday, October 28 with award payout October 31, 2013. Now, back to the good stuff – in the Summer of 2012, drunkenmermaid.com had the good fortune to “meet” Bill Madison via facebook. Not only did Bill give us a great series of submissions, but he hooked us up with one of our first big industry partners – One Song World. You can keep up with Bill on facebook and at his web page, where you can hear his new song Can’t Stay Away written by his wife Nancy and his remake of one of his early songs, The Loner.